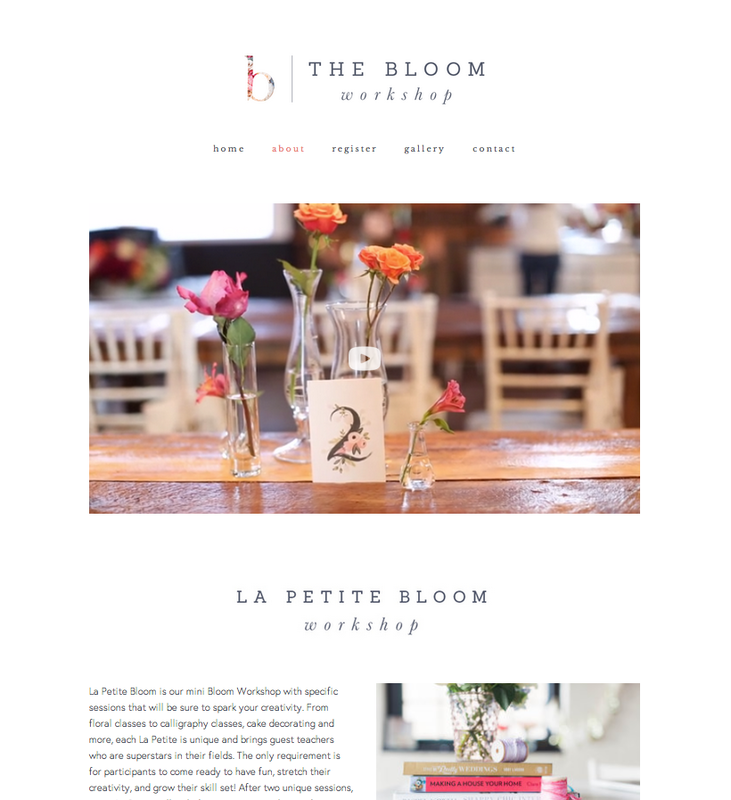 If you're a fan of pretty pinks and soft blues, gorgeous florals, classic typefaces, and illustrative details, you're going to love this new brand for The Bloom Workshop! 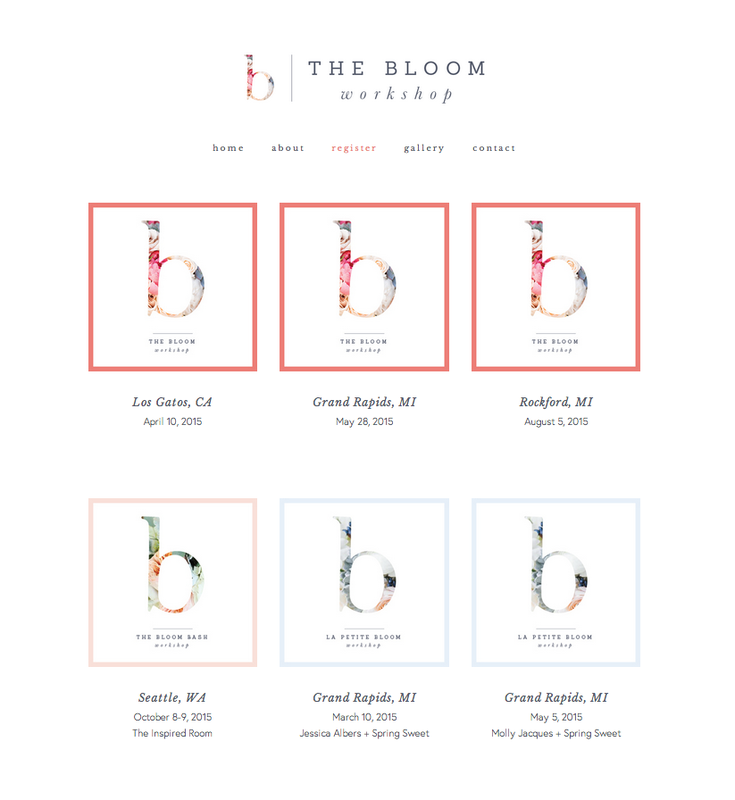 Bloom is a one-day workshop for creative entrepreneurs that focuses on blogging, design, photography, and styling. Michaela and Ashley do a gorgeous job with every detail of the day, from the teaching to the styled shoot and swag bags. After 3 successful events in 2014, they are offering 3 kinds of Bloom workshops and 9 events throughout the U.S. this upcoming year. With all of these exciting additions, some changes needed to be made to the Bloom brand. I jumped at the opportunity to partner with Ashley and Michaela on some new designs, and the project has become one of my favorites. Not only were these ladies a blast to work with; they gave me complete creative freedom and trusted my design eye, even when I ventured in a new direction and came up with a concept that was very different than what they had been expecting. The end result has all 3 of us excited, and I'm thrilled to add it to my branding portfolio! 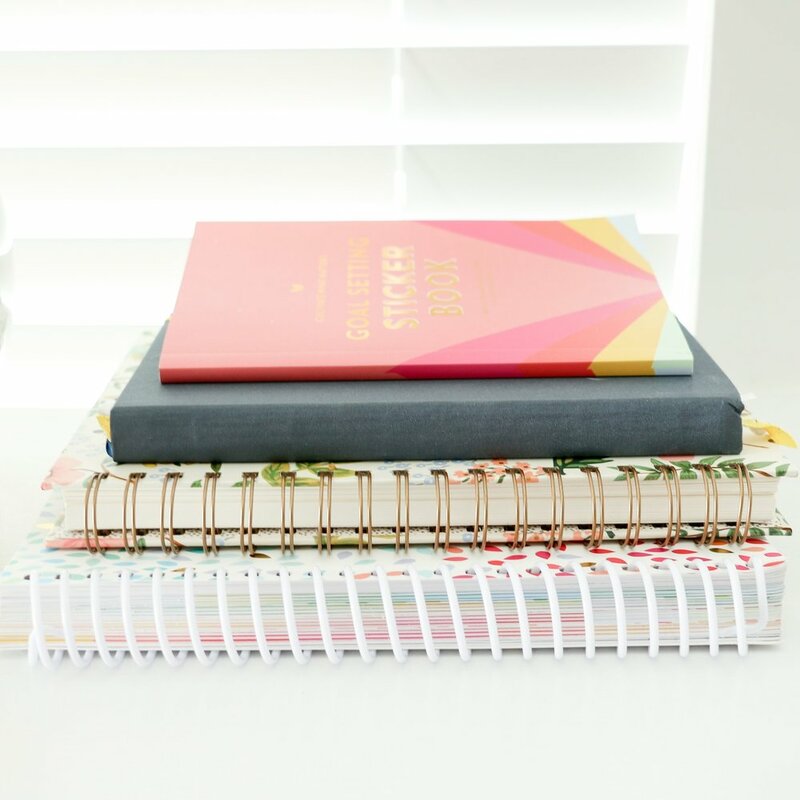 Ashley: We have been following along with Lauren and her design business since 2013 and had used her fantastic planners as gifts to our attendees at our 2014 workshops. We had the pleasure of meeting Lauren at Bloom Atlanta and got to know her a lot better than the internet had afforded us; we learned all about her incredible wealth of knowledge of design and just seemed to click with her. We also got to see her hand lettering in action (girlfriend can bust out some amazing calligraphy on a moment's notice! ), and we knew she was the perfect person to create a custom logo for us. The process turned into a total, unplanned rebranding and Lauren came up with this amazing logo-- something we had never even imagined, but couldn't be more in love with now if we tried! Ashley: As our process turned into a total re-design and re-brand we knew we wanted to make the website as clean and navigable as possible. We needed a way to showcase the different types of workshops we offered, introduce guest teachers and showcase past events-- a lot of information which in the past became a little jumbled and confusing. 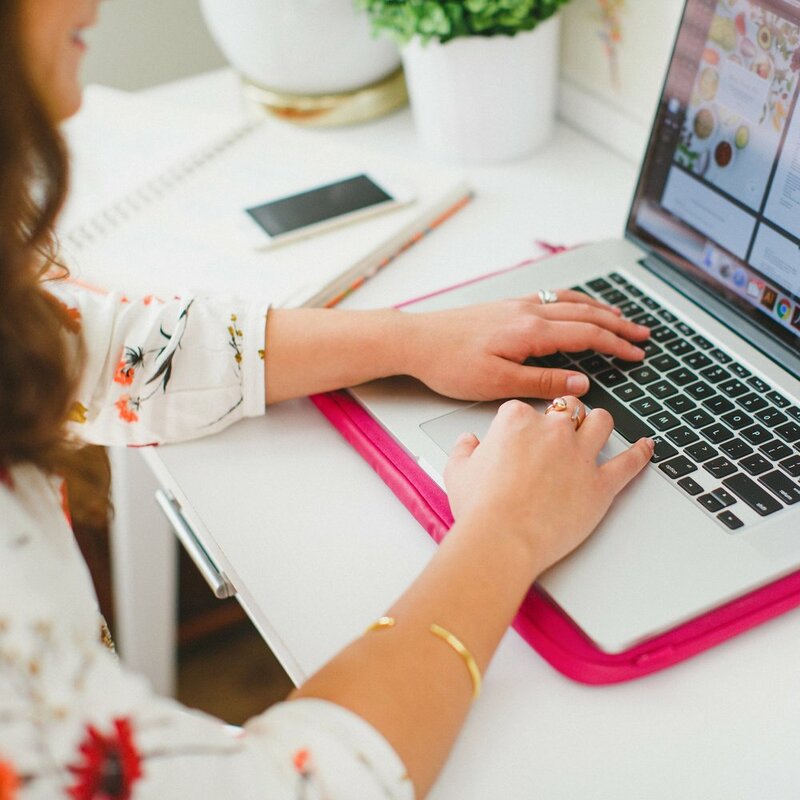 Lauren streamlined the site so at the landing page viewers can immediately access the information they are trying to find without getting lost in a sea of pretty pictures. Everything has a home and makes sense together. We stress and teach the importance of design at our workshops so having a website that reflects that is essential. What keywords came to mind as you imagined the appearance of your new brand and website? Ashley: I think for us, feminine is a word that represents our individual brands as well as Bloom. We also kept the words fresh and unique in mind-- we didn't want to get lost in a sea of mint, coral, and gold (colors we love but everyone else seems to as well right now!) We wanted to be timeless so our brand will stand the test of time, at least for the next few years. We also hope people feel comfortable and peaceful in our space and really feel that the website reflects that; and that is so important because at our workshops we endeavor to be 100% authentic and down to earth. We feel like the internet makes being a creative or an entrepreneur seem scary or unattainable sometimes, and we want everyone who attends to feel empowered to create what they have in their hearts and walk away with friendships and supporters. We love that our website reflects us and the message we try to communicate with everyone we meet! What was your favorite step of the design process? Michaela: I think our favorite step was seeing it all come together! Lauren and I would g-chat when she was putting the site together, designing away and working her magic, and every time she would tell me to check something on the test site, I would get so excited! Everything she creates is so beautiful, so it was such fun to keep finding new things on the website! Michaela: I guess we were surprised by just how much we LOVE it ;) We didn't realize we would sit at our computers and stare at the website all day! Another thing we were surprised by was this: when we originally talked to Lauren about what we wanted for our logos, it was something totally different than what we have now. Lauren came to us with this simple, yet feminine, "b" design and we just loved it, even though it was completely opposite of what we had asked for. Always trust your designer!! How was your overall experience? 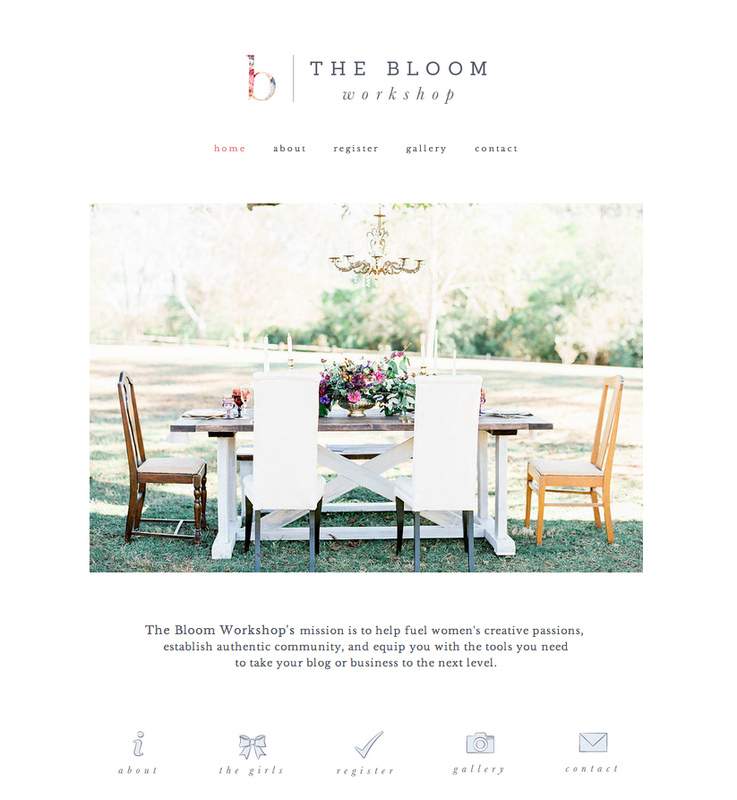 Did we successfully accomplish your design goals for Bloom? Be sure to visit Ashley and Michaela's sites to see more brand details, too, especially if you're interested in my 2015 brand + website package - they just might have details on a discount! What is your favorite part of Bloom's new branding and website? Are you attending a Bloom event in 2015? !